Just a month after tram line 9 was inaugurated in Jette, Brussels has another new tram route - or rather an extension of an existing one. 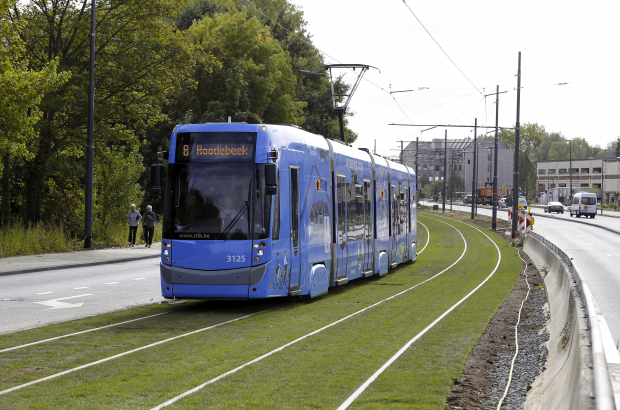 Tram 8 was inaugurated at the weekend, featuring a new 2km stretch from Roodebeek metro station in Woluwe-Saint-Lambert to the Tram Museum in Woluwe-Saint-Pierre. From there, it follows the route of what used to be line 94, through Auderghem to Boitsfort, past the ULB campus and the Abbaye de la Cambre to finish at Louise. Trams will run every six to eight minutes during the weekday and no less than every 15 minutes at evenings and weekends. The new part of the route cost €24.5 million and involved a complete redesign of the road layout along Boulevard la Woluwe, with new pavements, bike paths, signs, lighting and the creation of four new stops. Brussels mobility minister Pascal Smet said the route could be extended further in the future - with some local councillors keen to see it go as far as the airport. BUT, you have to transfer to a bus for part of the journey (somewhere between Boitsfort and ULB) because they are working on the tramlines!